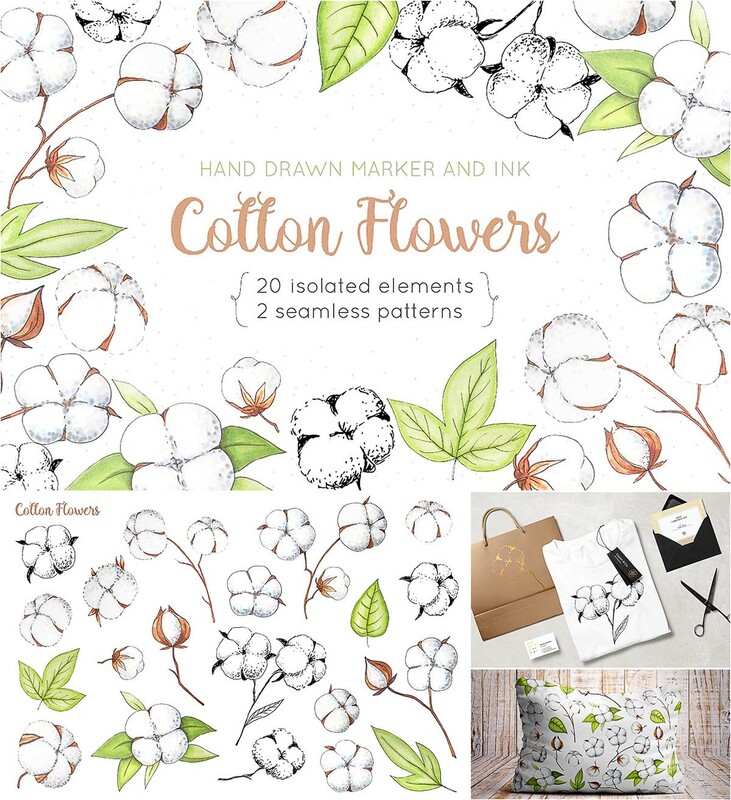 This set of hand drawn cottons graphics included delicate white cotton flower and green leaves drawn by markers and ink and 2 seamless patterns. All elements are high resolution (300dpi) PNG files with transparent backgrounds. Tags: copic, cotton, cotton flower, floral, flower, hand drawing, leaf, natural, plant, print, seamless pattern.